Scholar of Worms in the eleventh century; teacher and relative of Rashi, who refers to him as an authority beside his other teacher, Isaac ha-Levi (responsa of the French rabbis, Nos. 11, 24). 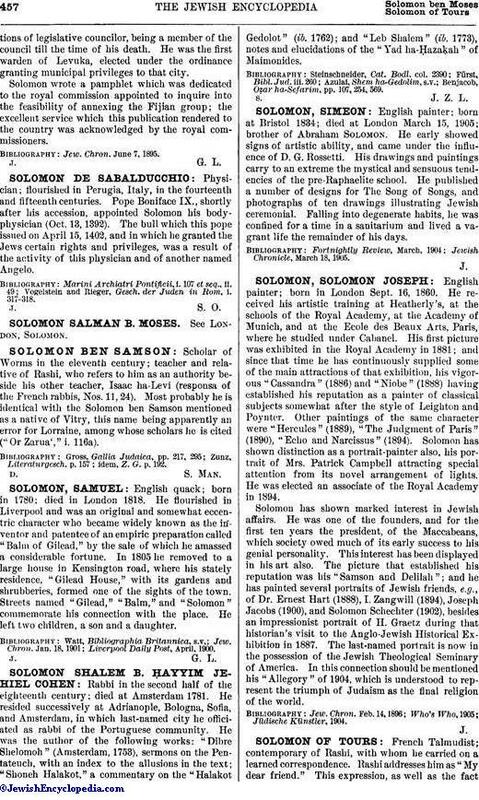 Most probably he is identical with the Solomon ben Samson mentioned as a native of Vitry, this name being apparently an for Lorraine, among whose scholars he is cited ("Or Zarua'," i. 116a). idem, Z. G. p. 192.